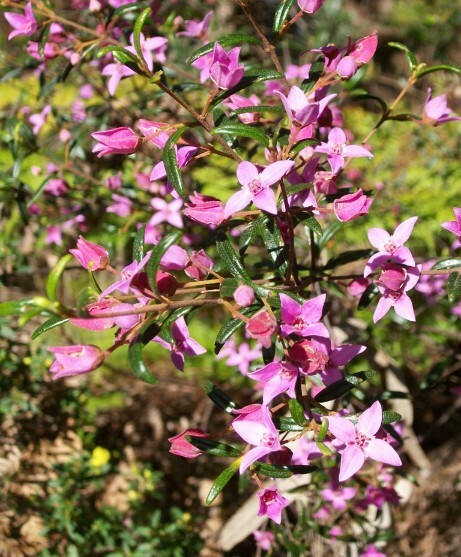 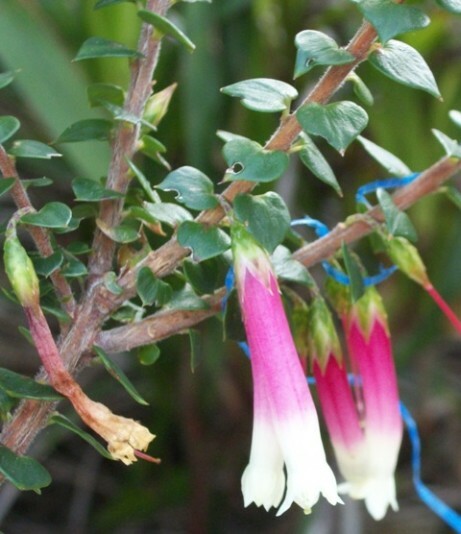 Australian Bush Flowers of Pittwater; links to Single Essences information with kind permission and courtesy of Australian Bush Flower Essences. 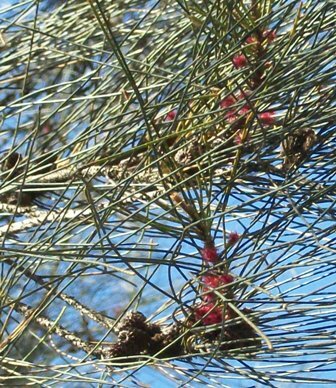 All Images except red grevillea By and Copyright A J Guesdon, 2011 and taken within the Pittwater Reserves late Winter to early Spring. 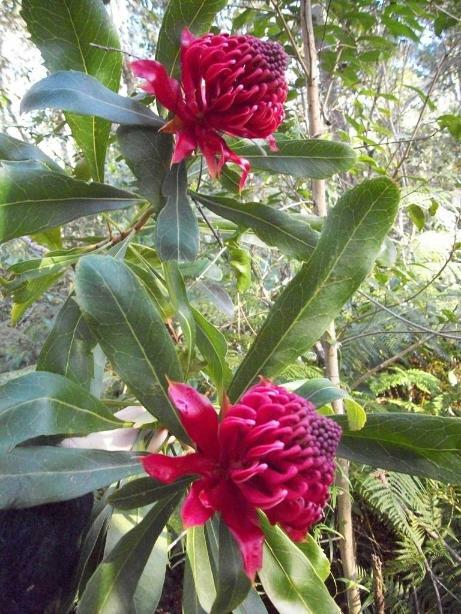 More Pittwater Bushflowers 2011. 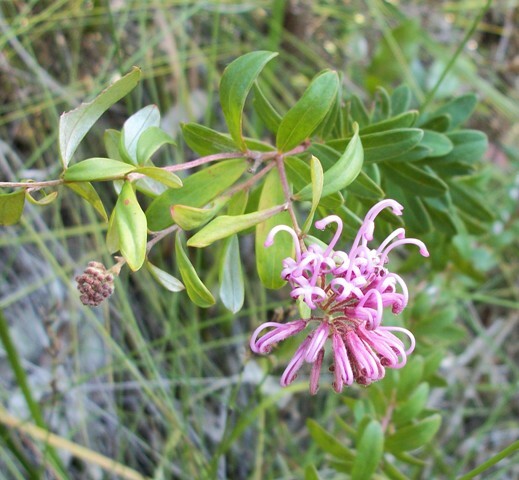 Above: Pink Spider Flower, Grevillea sericea, ABFE has information on the Grey Spider Flower, Grevillea buxifolia. 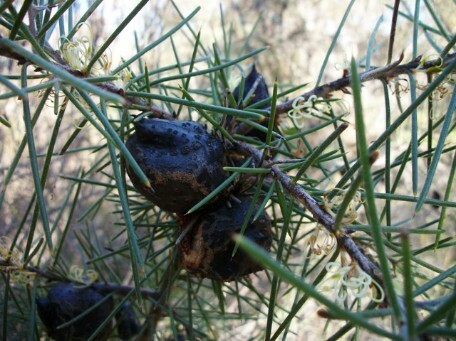 Below: Dagger Hakea, Hakea teretifolia. 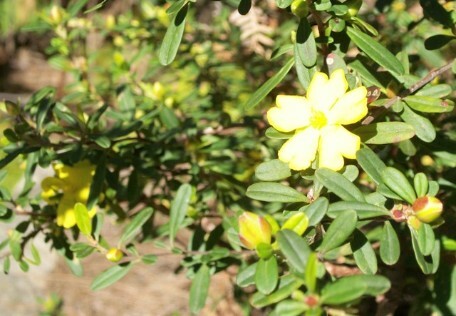 Above: Hibbertia, ABFE stocks Hibbertia pedunculata essence. 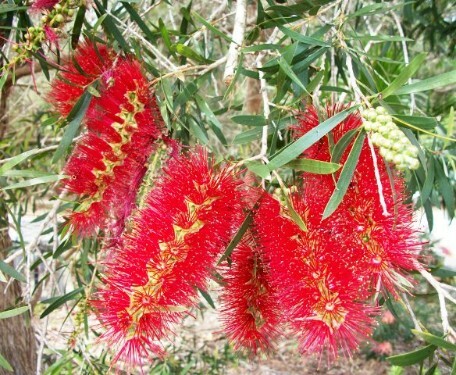 Above: Bottlebrush Callistemon and belong to the family Myrtaceae. 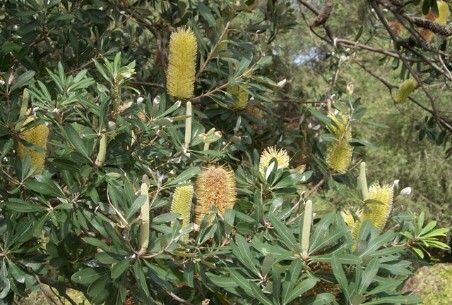 Below: Coast Banksia, Banksia integrifolia, ABFE has an essence made from Old Man Banksia, Banksia serrata and Banksia Robur. 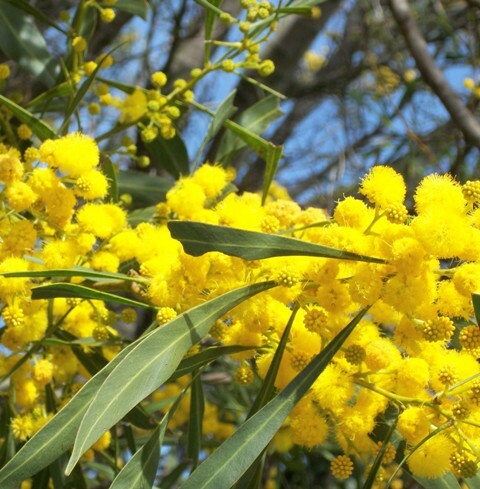 Above: Wattle tree in bloom, ABFE has a Sunshine Wattle, Acacia terminalis, Essence. 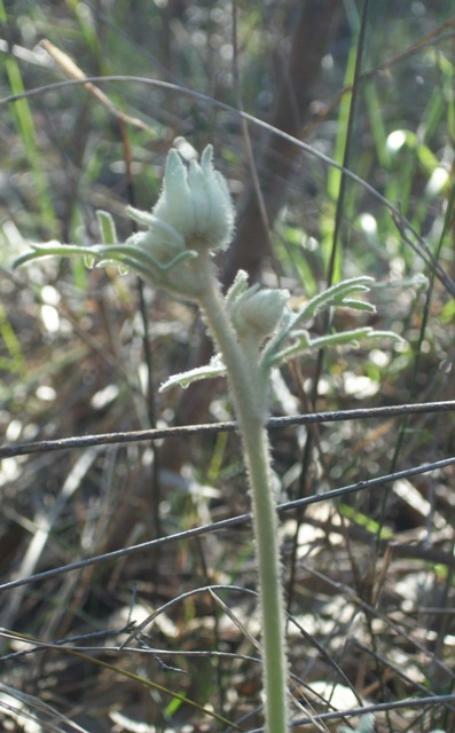 Below: Flannel Flower, Actinotus helianthi. 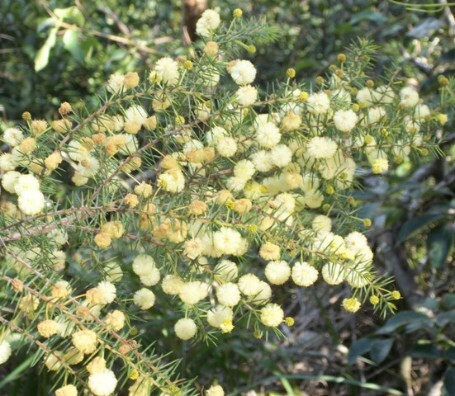 Above: 'Prickly Moses' or Acacia ulicifolia. 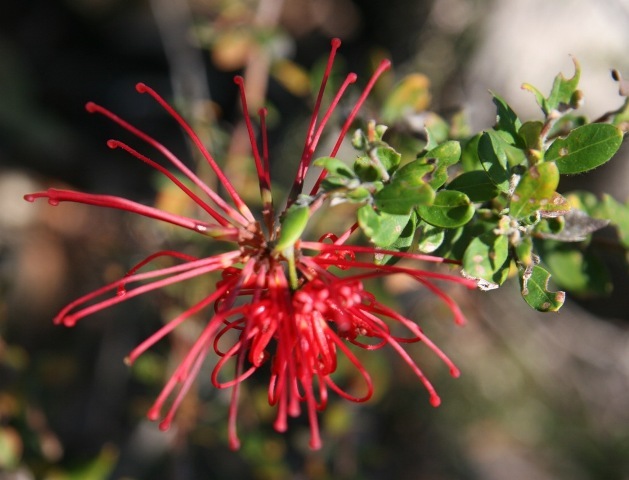 Below: Red Grevillea photo copyright by Ian White, 2011. 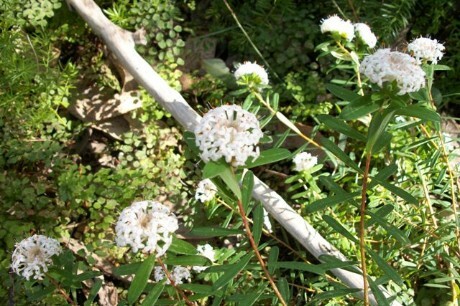 Below: Slender Rice Flower, Pimelea linifolia ssp. 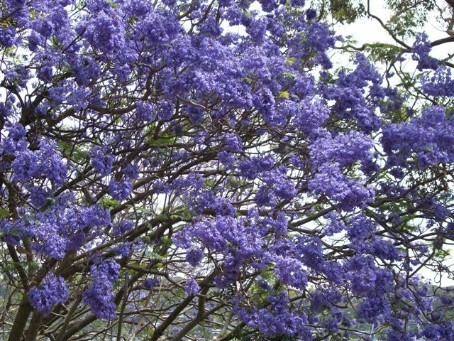 linifolia. 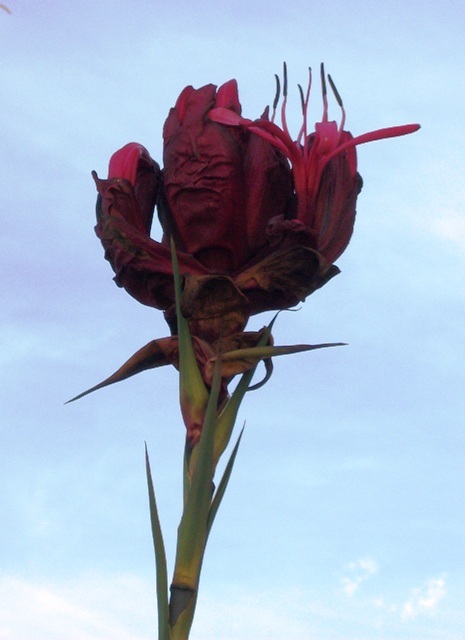 Above: Gymea Lily, Doryanthes excelsa.